Why Are Doctors Afraid to Prescribe Medical Marijuana? For twenty years, physicians have been way too loose in prescribing dangerous opioid painkillers. They, in effect, served as Big Pharma’s opioid drug pushers – carelessly prescribing pills that killed over 200,000 people and addicted millions more. Paradoxically, now that medical pot has been legalized in 28 states, most MD’s have been excessively squeamish in prescribing it – even though pot is much safer than opioids and evidence shows states that legalize pot experience a decline in opioid overdoses and deaths. About 1,000 doctors in New York State (1% of all licensed physicians) have completed the paperwork necessary to prescribe medical pot, even though it has been legal for four years. Just 218 doctors in Massachusetts have been authorized three years after legalization. And just 700 have signed up in Maryland. Doctors were far too unafraid of dangerous prescription opioids; now they are far too afraid of relatively safe legal medical pot. For 2,500 years, the most sacred medical oath has been “First Do No Harm.” Doctors did harm when they overprescribed opioids. They are now doing harm under prescribing pot. Doctors are trained to follow authority – both medical and governmental. They face severe disciplinary and financial risk whenever they stray away from accepted community practice. This makes great sense. We certainly don’t want MDs to act like independent and idiosyncratic cowboys, left free to experiment with our bodies and our lives. But disaster strikes when the governmental and medical authorities tell obedient doctors to do the wrong things. And this happens often enough because Big Pharma is spending big money, working behind the scenes, pulling the governmental and medical strings in its ruthless, greedy, and tireless efforts to promote obscene profits. The opioid trouble started when pharmaceutical companies succeeded in distorting what had previously been the widely-accepted community medical practice: great caution should be exercised in the prescription of opioid pain pills. Drug companies then initiated an aggressive and criminally misleading marketing and lobbying campaign selling the lie that their new opioid preparations carried much less addiction risk than the old preparations. The Food and Drug Administration originally approved the opioid drugs with insufficient attention to their enormous risks, just as it has routinely approved many other new unsafe, ineffective, and ridiculously costly drugs. And its post-approval surveillance of dangers was late, slow, tepid, and ineffective. The FDA has been so corrupted by Big Pharma that it is now an almost toothless regulator controlled by the very industry it was created to control. FDA approval has become more a legitimizer of unsafe drugs than a filter to prevent their being marketed. Sad to say, doctors can no longer assume that FDA approval indicates that a drug is safe or effective. Another putative protector of the public, The Joint Commission on Hospital Accreditation, also became a witless and unwitting centerpiece of Pharma’s underhanded marketing of opioids. It bought into the Pharma snake oil that pain evaluation should be the “fifth vital sign” done routinely and regularly on every patient. The rationale was well-meaning and plausible: pain was often missed and under-managed by physicians. However, the practice that followed was nothing less than disastrous. The appropriately greater emphasis on pain management was perverted by over prescription of opioids. 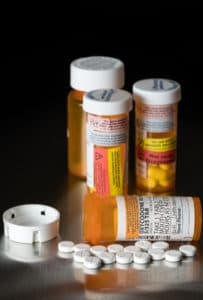 Doctors were lulled into believing it is appropriate, even desirable, to use addicting opioid meds in many situations where they are unnecessary and dangerous. Pharma also heavily sponsored conferences and papers featuring pain management thought-leaders who lent great authority to the much too expanded use of prescription opioids in situations where potential risk far overwhelmed benefit. Even the most cautious and responsible doctors were influenced by the careless legitimization of opioids by the Food and Drug Administration, the Joint Commission, and influential pain specialists. The most reckless and dishonest became de facto serial killers, responsible for lethal opioid overdoses in accumulating numbers of their patients. Physician caution is understandable, if excessive. Dumb prohibitions on pot research mean we have little systematic data on preparations, dosing, indications, risks, benefits, and safety. Doctors are, to a large degree, flying blind. The lack of FDA approval for pot understandably weighs heavily in the decision making of most physicians and would be appropriately disqualifying if FDA approval were still meaningful. But, unfortunately, the FDA is no longer a fair broker of good medical practice. Doctors must also face the possible risk of punishment from the Sessions Justice Department or from the federal dispensers of Medicare and Medicaid payments. Prescribing pot is not without medical, administrative, financial, and legal risk for responsible doctors. And doctors who now realize that loose prescription of opioids was a mistake are understandably fearful of being burned yet again by all the unknowns of pot prescription. All this said, not prescribing pot provides its own set of dangerous risks for the patients who would most benefit from it- particularly those who were so readily prescribed the much more dangerous opioids. It may be too late now for many of those already dependent on opioids to get off them, but some may benefit from being switched to less dangerous pot. And prescribing opioids for new patients should be very closely monitored, creating another indication for medical pot. 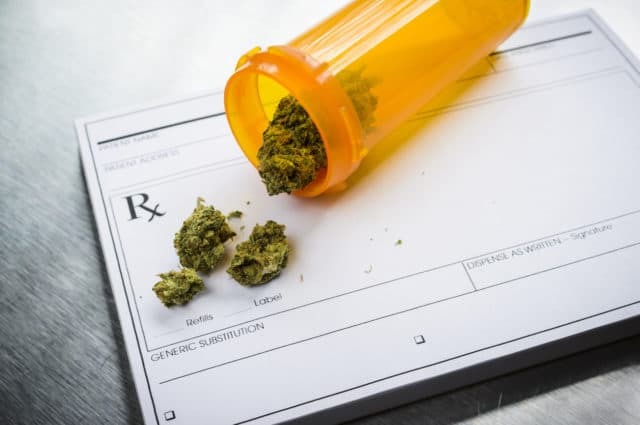 Pot deserves a lot more research and clinical consideration as a much lesser evil relative to opioids and as a potential benefit in a variety of clinical situations. 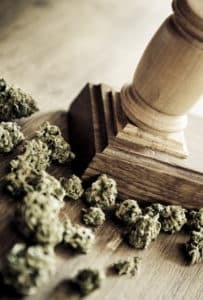 Training in pot prescription should become a routine part of medical school and continuing medical education. State regulatory bodies should end discrimination against it. And states that have legalized medical pot should hang tough in the face of Trump/Sessions bullying.